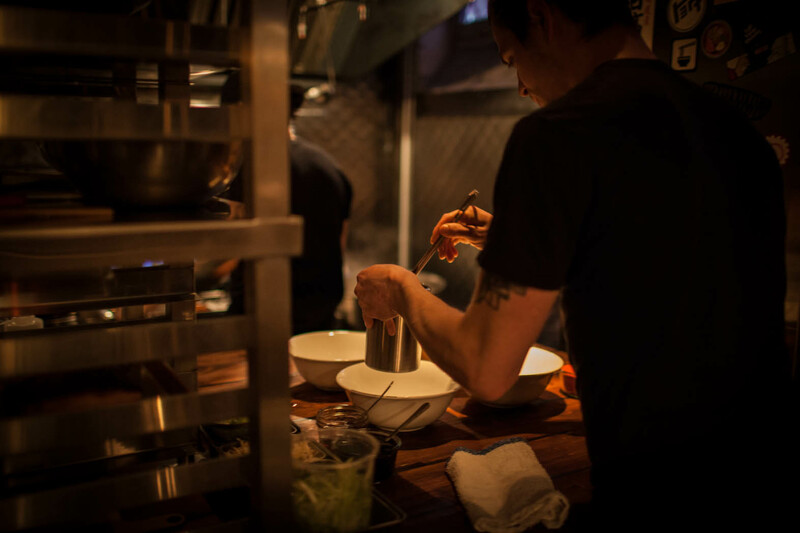 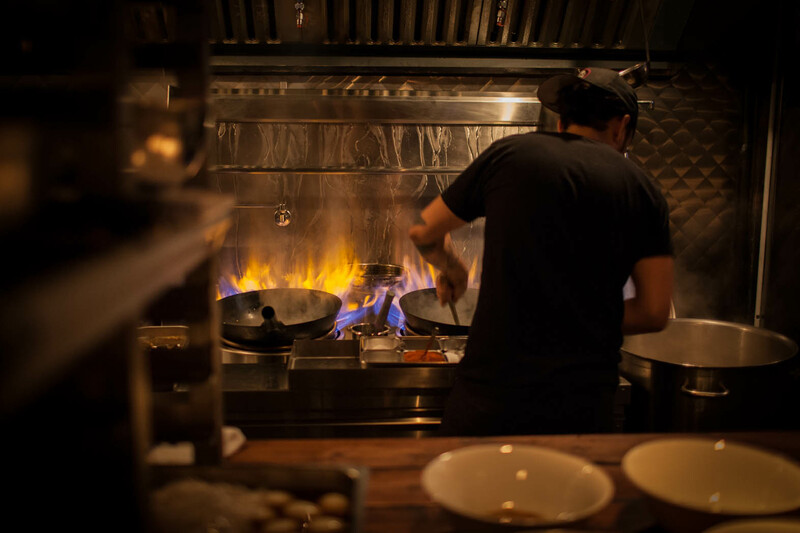 An intimate subterranean ramen lair with concrete walls, a long cedar bar, and industrial light fixtures. 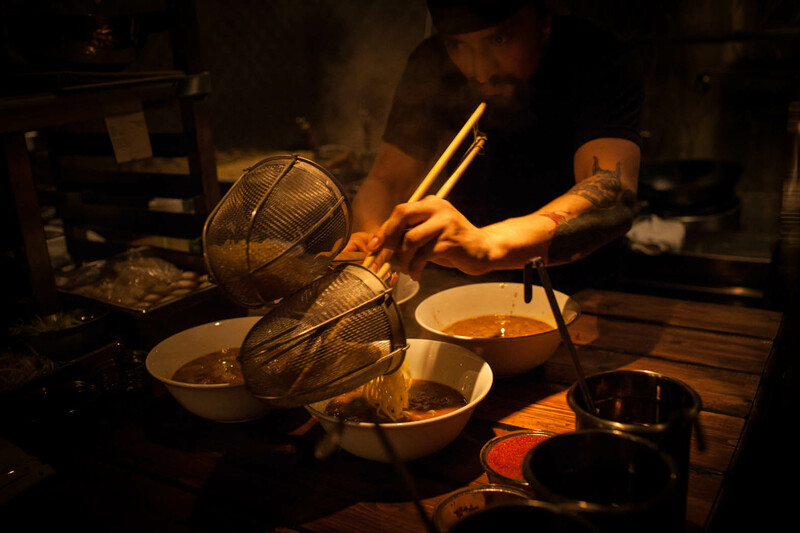 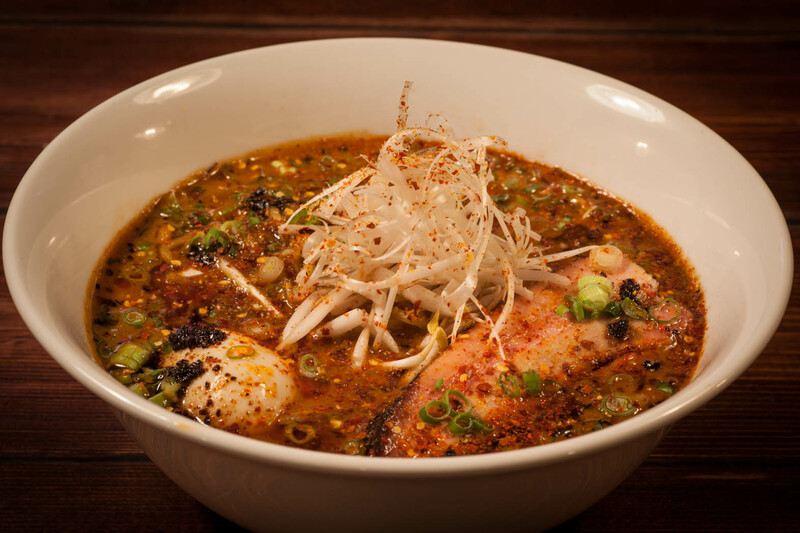 The signature High Five Ramen features a traditionally rich and creamy tonkotsu-style broth combined with miso, sesame, face-numbing pepper, nori, and dried Japanese chilies. 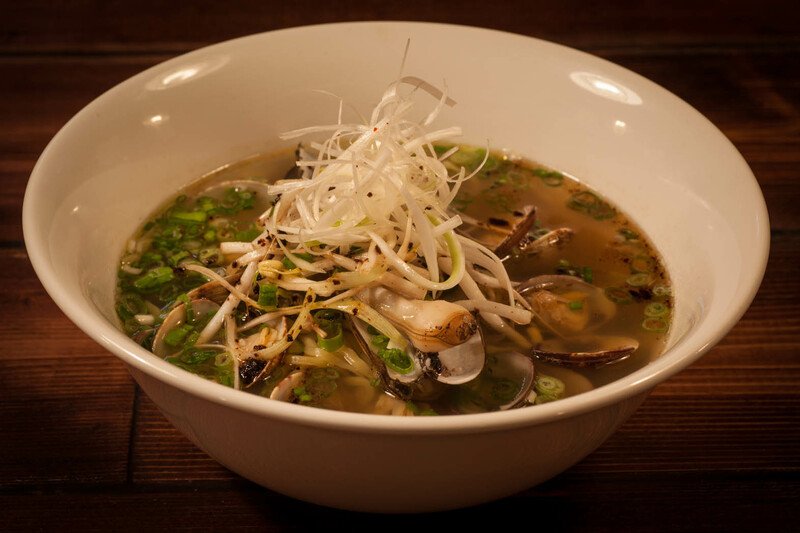 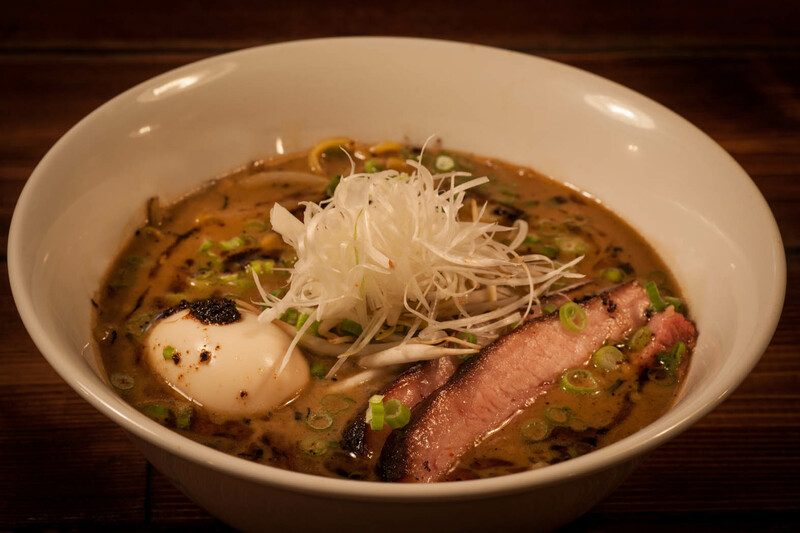 Guests can test their tolerance for heat with the Kanabo Spice, enjoy a lighter option with the Shoyu Ramen, savor the chicken broth based Shio Ramen, or indulge with an earthy Maitake Ramen, made with a mushroom miso broth. 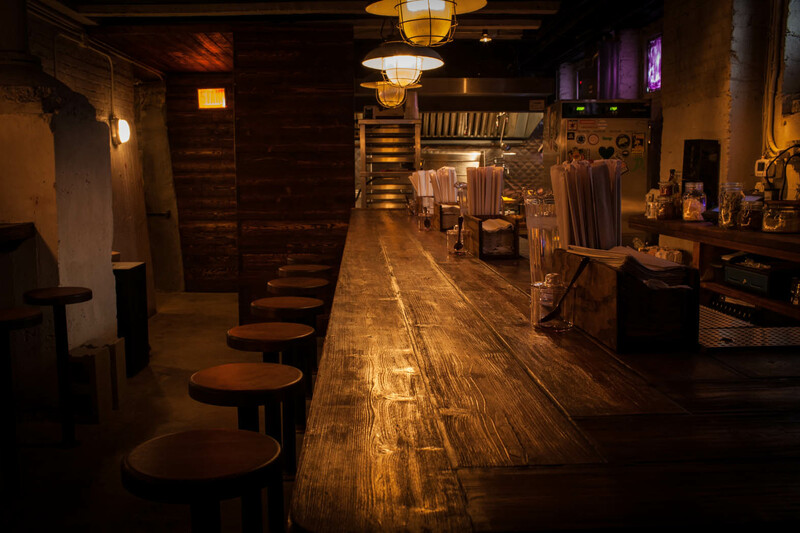 The bar serves a selection of Japanese beer, sake, whiskey, and sweet slushies.